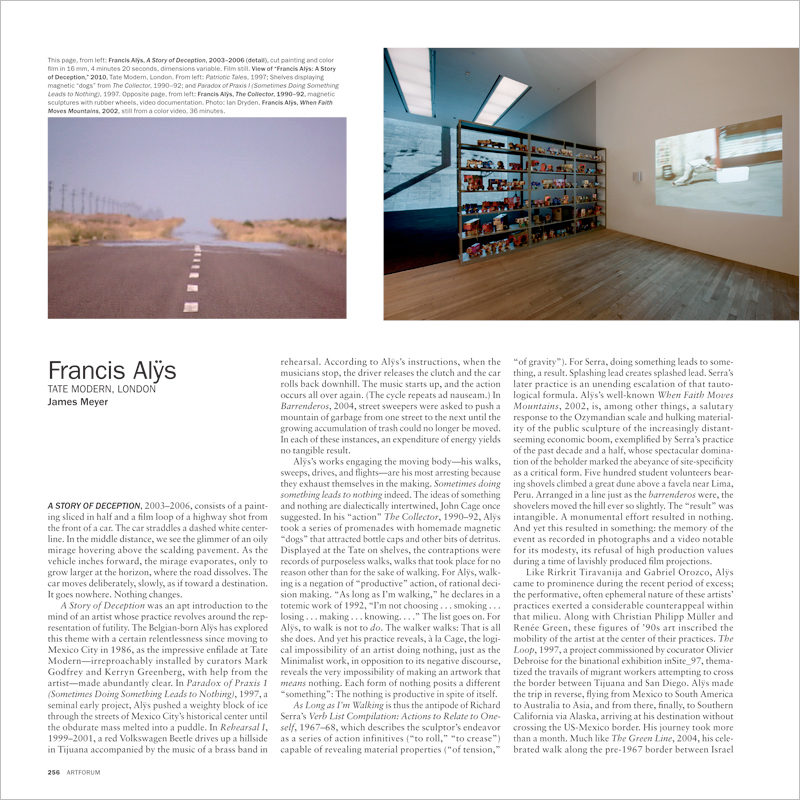 A STORY OF DECEPTION, 2003–2006, consists of a painting sliced in half and a film loop of a highway shot from the front of a car. The car straddles a dashed white center-line. In the middle distance, we see the glimmer of an oily mirage hovering above the scalding pavement. As the vehicle inches forward, the mirage evaporates, only to grow larger at the horizon, where the road dissolves. The car moves deliberately, slowly, as if toward a destination. It goes nowhere. Nothing changes.